Wow! I don’t even know where to begin. This place is just magnificent and exceeded all our expectations and more. 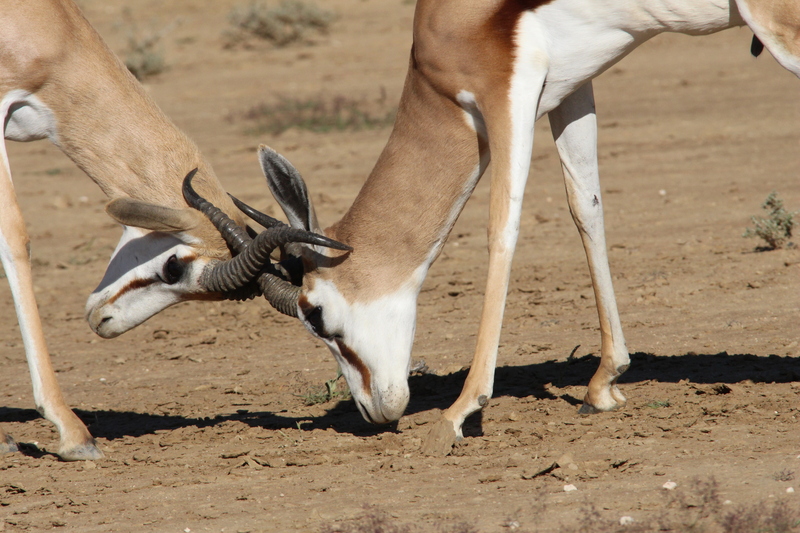 Kgalagadi Transfrontier Park is situated in the Kalahari Desert region of South Africa and Botswana and is about a nine-hour drive from Pretoria on the N14. 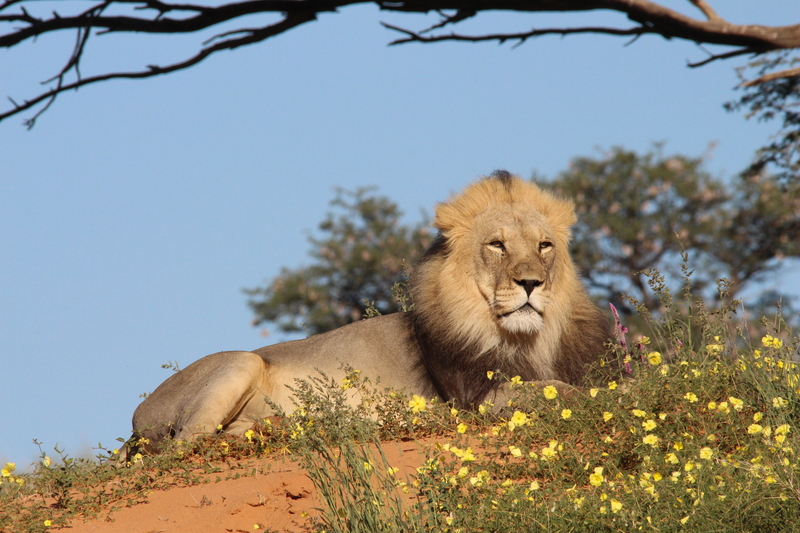 A few years ago my husband came across a Facebook group called Kgalagadi Sightings where visitors to the park posted their personal photos of their experience in the park. We fell in love with it and could not get enough of the photos of all the lion, cheetah, leopard and spotted hyena. 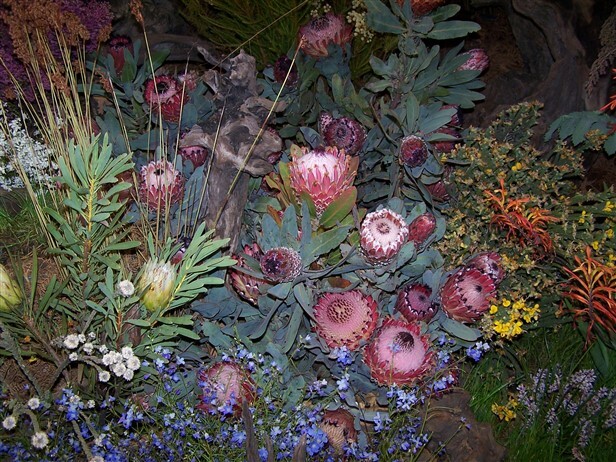 So we started planning our two-week trip to the South African side of the park mid-2015. We decided to visit the park during April/May 2016 as it was is just after the rain season and temperatures were bearable and the evenings a bit cooler. We started buying our camping gear … As it was our first visit to the park, we decided to book accommodation at the three main fenced rest camps namely Twee Rivieren, Nossob and Mata-Mata, and to do a three-night, four day 4×4 eco-guided tour en route to Nossob.All these rest camps comprise of very neat ablutions and laundry areas and even have electricity connectivity. Twee Rivieren has a restaurant and tiny shop and there is cell phone reception too. 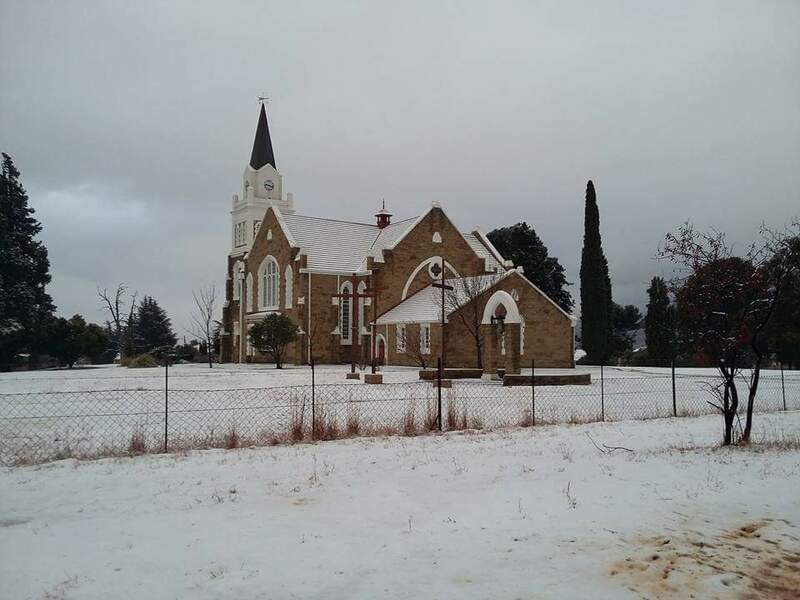 Our holiday began on 22 April; we left Centurion very early that morning. We checked in at Twee Rivieren for the next 2 nights and days. 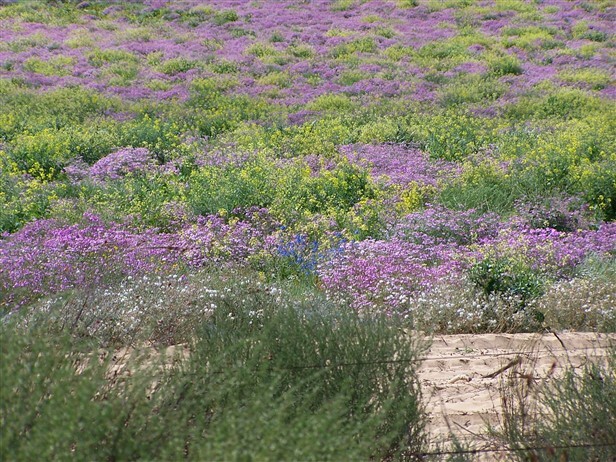 Twee Rivieren is situated on the bank of the dry Nossob Riverbed. We travelled up the Nossob River bed between Twee Rivieren Camp and Nossob Camp, we left our camp early at 07:00 and was surprised to see 2 lionesses’ on the dunes not long after we left our camp, we stopped for a few minutes, but they disappeared behind the dunes and we decided to drive on, 10 minutes later we came across a few cars in the road, next to the road a lioness and her 2 cubs was drinking water in a puddle, I was ecstatic to see the 2 cubs so close to our car. 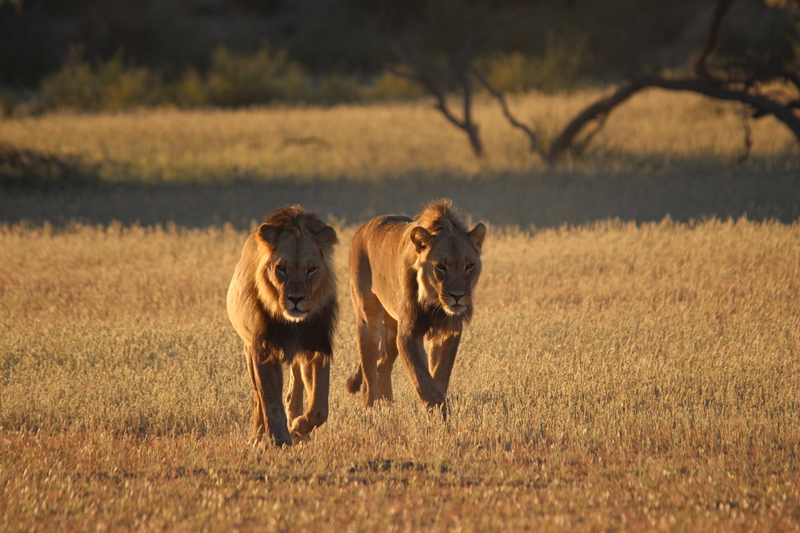 The highlight was when I noticed the most beautiful lions walking in the direction of the mom and cubs, went and paused for a rest period on one of the Kalahari’s idyllic red dunes with the morning sun in his face, I snapped so many photos of that beautiful moment. We saw big herds of springbok, oryx, blesbuck, blue wildebeest mainly travelling on their own, vultures, a small group of meerkat playing, but no hyena, cheetah or leopard sightings. We stayed another night at Twee Rivieren and from there, prior to our visit to the park we booked a 3 night, 4 day guided 4×4 eco trail group tour across the red dunes to Nossob, where we stayed at 3 unfenced camps, without electricity, running water and a long drop toilet, but that was all part of the experience. 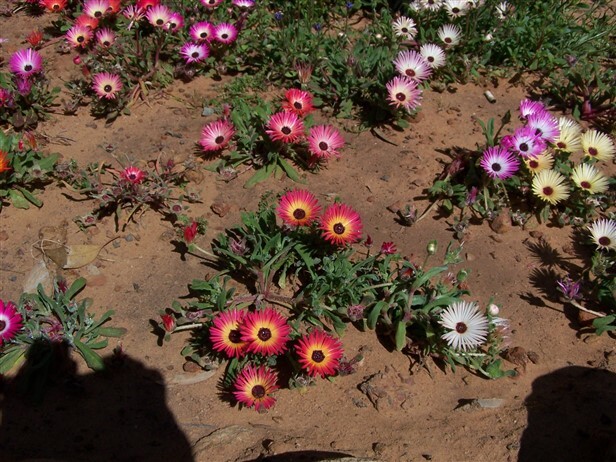 During our trip, we were taught a lot about the dunes, fauna and flora in the Kalahari desert. I definitely recommend the eco-tour. We didn’t see lots of game but saw ostrich, kudu, lion and lots of birds. On day 6 we arrived at Nossob camp, we started the day off by just relaxing at camp for a change. The following morning, we left early to see if we could spot some hyena, as we were informed at reception that there is a den not far from camp, so we headed in the direction of Polentswa waterhole. We didn’t drive far and came across 3 lions having an early morning nap in the sun on the road near Bedinkt waterhole. We couldn’t believe it, we were the first car to view the sighting and had the 3 all to ourselves for nearly 20 minutes. 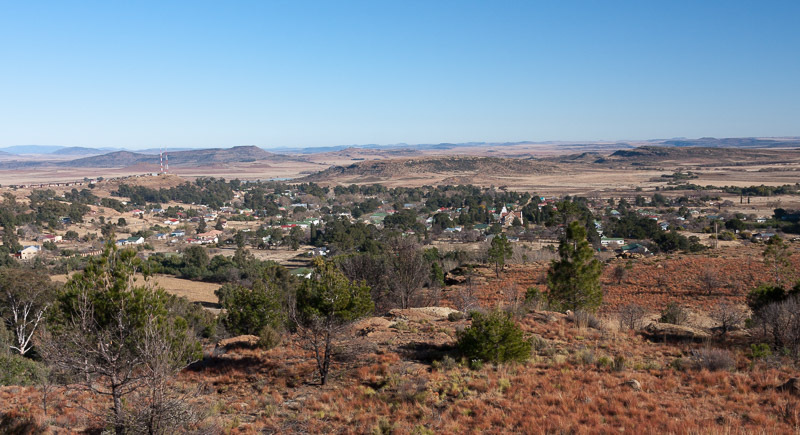 We drove off and had coffee and nice rusks in the bakkie at one of the many waterholes along the road, before driving back to the camp for an afternoon nap. The following morning, we left as the gates opened at 07:00, made sure we are the first vehicle to exit. Today is the day we are going to spot some hyena I told my husband, full of optimism we left and drove for about 10km next to the Nossob riverbed heading again in the direction of Polentswa waterhole when I spotted 2 creatures in the distance walking very fast, grabbed the binoculars and yes, it’s 2 hyena. I was in my element as I have never seen a hyena in the wild. 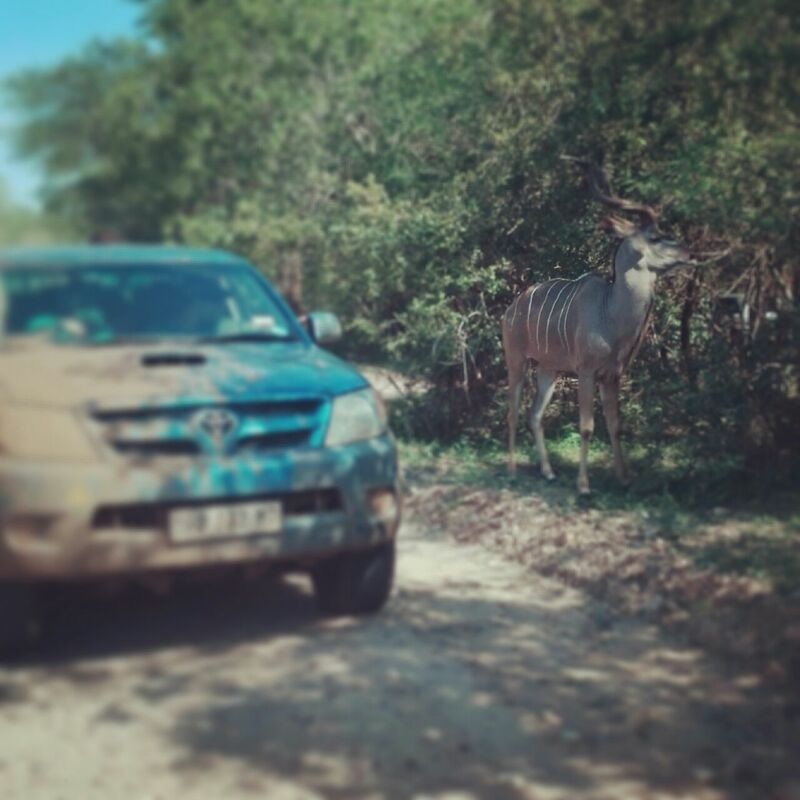 We drove to get ahead of them, but they were still very far in the distance walking in the riverbed, and then they turned towards us and walked straight up to our bakkie and sniffed on the bakkie’s tires. What and awesome experience to see them so up and close. My day was made! Once again we headed to a waterhole and had our daily coffee and rusks in the bakkie before we drove on for some more game viewing and came back around 15:00 and set up camp and lit the fire. Nothing can compare to the peace and quiet and the night sky in the Kgalagadi with distant jackal calls in the distance. 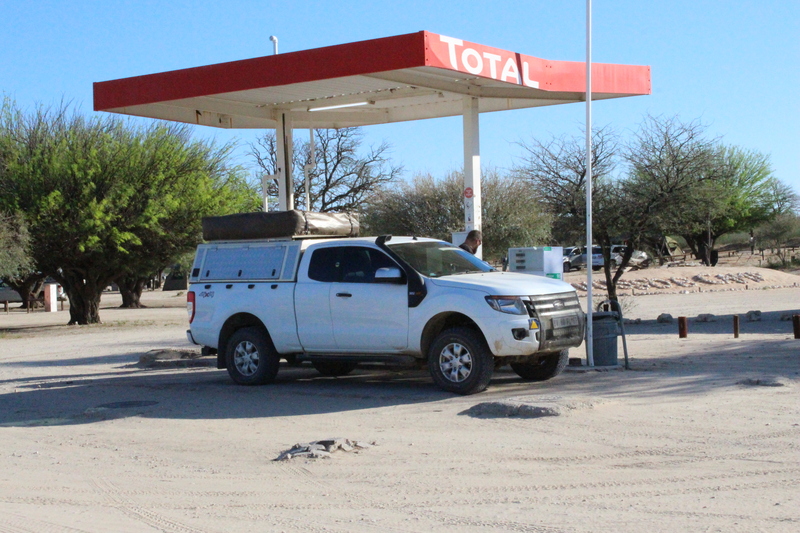 On day 8 we headed to Mata-Mata, situated on the bank of the Auob River, this side of the park borders Namibia to the west. 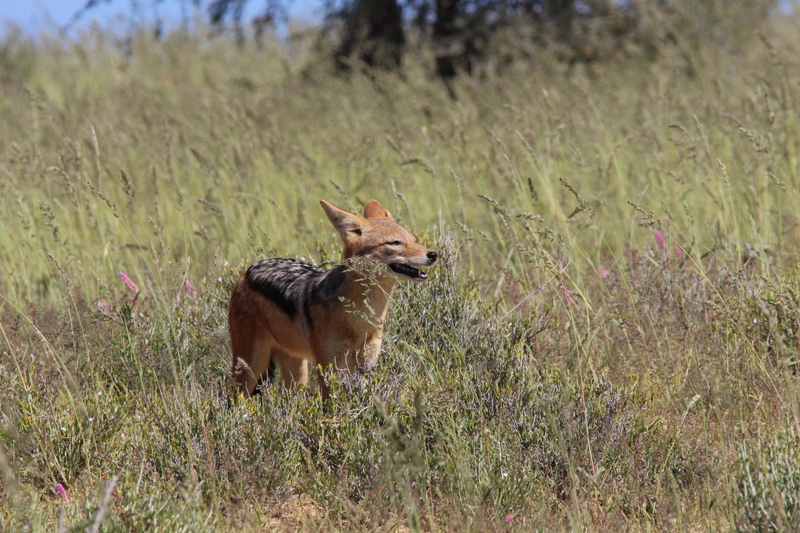 Mata-Mata offer 2 hour long guided night drives, we saw bat-eared foxes, muskeljaatkat, spring-hare, scrub hare, Cape fox, African wildcat, jackal and night owls and lots of antelope. The rest of our trip we stayed at Mata-Mata and travelled up and down the Auob Riverbed and saw Masego the famous young leopard hunt an African wildcat in a tree next to the road after exploring various trees looking for prey, we followed her on this particular day for more than an hour between Dertiende and Veertiende boorgat. 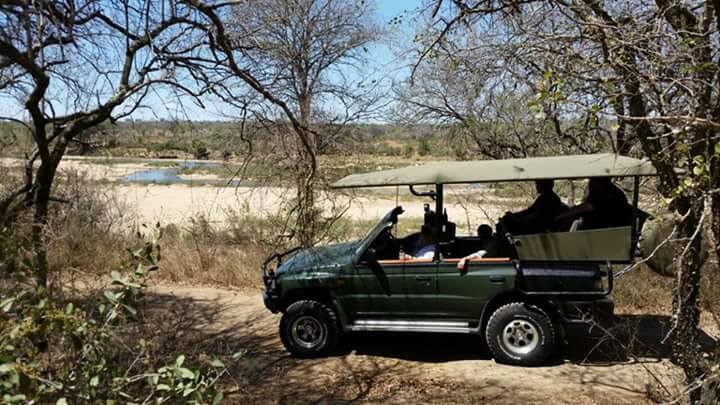 The riverbed is also home to large herds of giraffe and we came across them everyday sightseeing, we saw Masego the leopard almost every day. 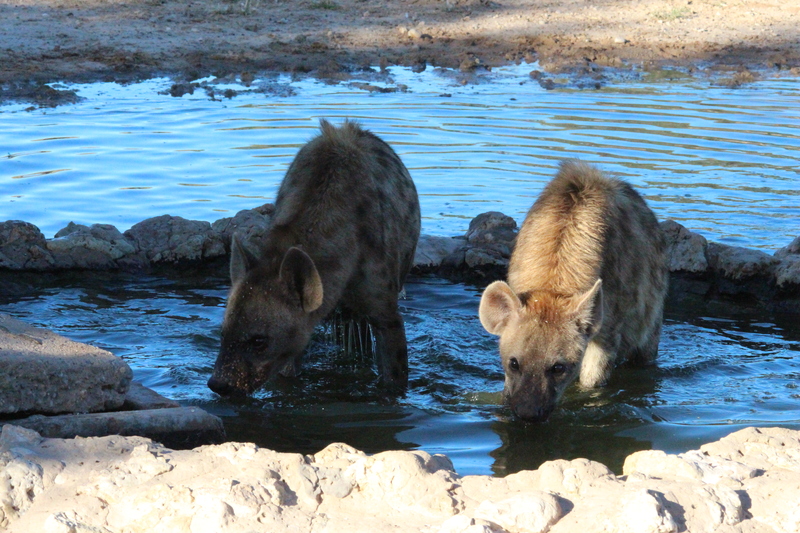 One morning on our daily route we saw 2 hyena walking in the direction of Veertiende boorgat and followed them slowly, they reached the waterhole and both jumped in the water trying to cool off while drinking water. This was so interesting to watch as they were playing. 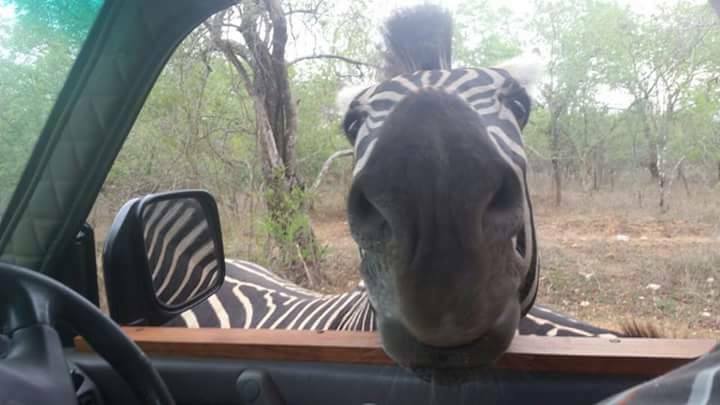 Like at Nossob they walked straight up to our bakkie and sniffed on the wheels but this time biting at it with their sharp teeth, my husband had to pull away to avoid any damages to the tires. 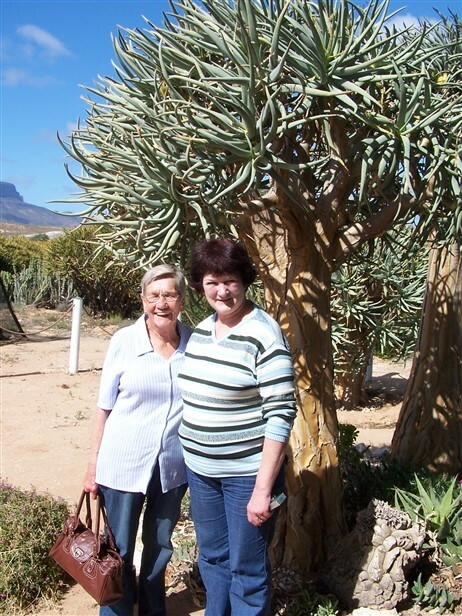 We spent the last two days at Twee Rivieren before heading back to Pretoria. During our trip, we were lucky enough to see a total of 32 lions, some leopard and two cheetahs in the distance near Mata-Mata, among others. 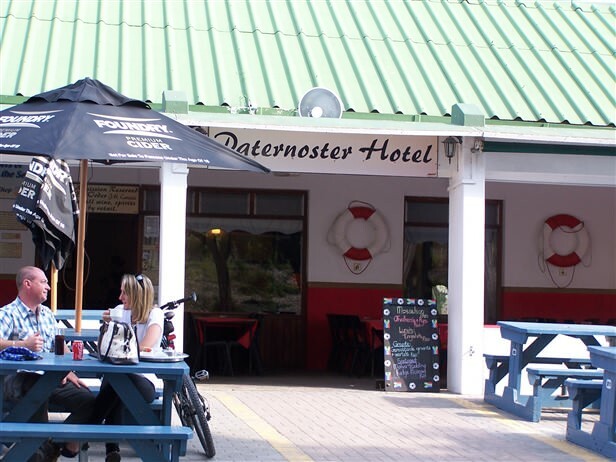 All three rest camps have little shops with all necessaries, a petrol station to refuel. 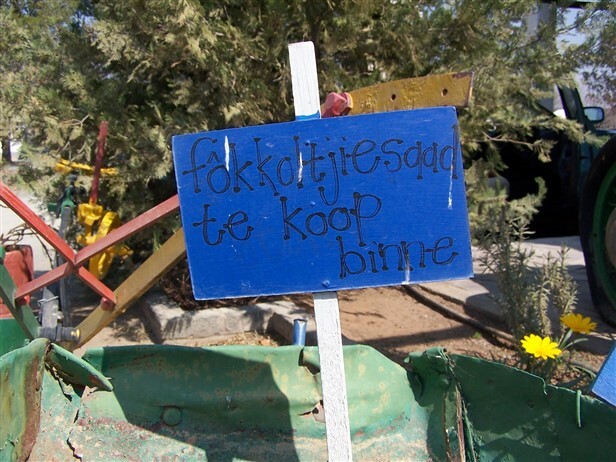 Twee Rivieren and Nossob have swimming pools. We bought delicious freshly baked “rooster brood” every night while at Mata-Mata and Nossob. You can place your order at the shops in the morning and collect your items after 06:00. 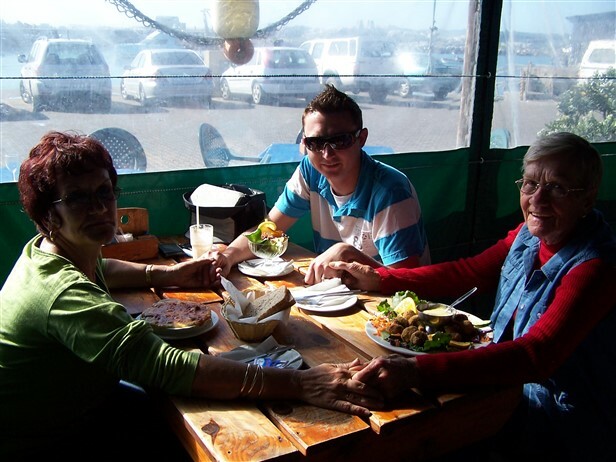 At Mata-Mata there is a little shop across the border on the Namibian side that sells delicious lamb chops and boerewors at a very good price. You are allowed to cross the border without a passport to visit the shop, just inform the security at the border. 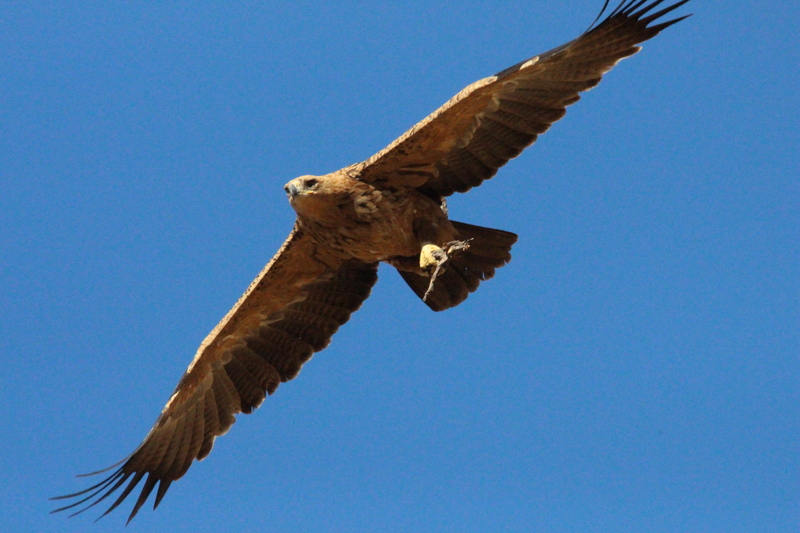 Kgalagadi is an absolute must for bird lovers, we saw yellow-billed kite, black-breasted snake eagle, tawny eagles, bateleur, pale chanting goshawk, lanner falcon, Namaqua sand grouse, Namaqua Dove, spotted eagle owl, veer aux eagle owl and tow species of vultures. 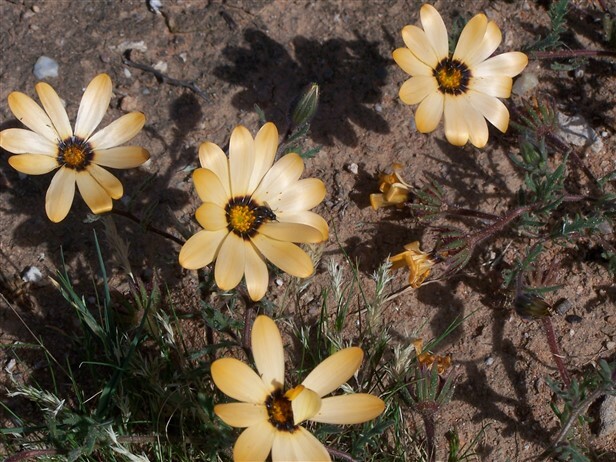 The camps are also home to yellow mongoose and ground squirrels. 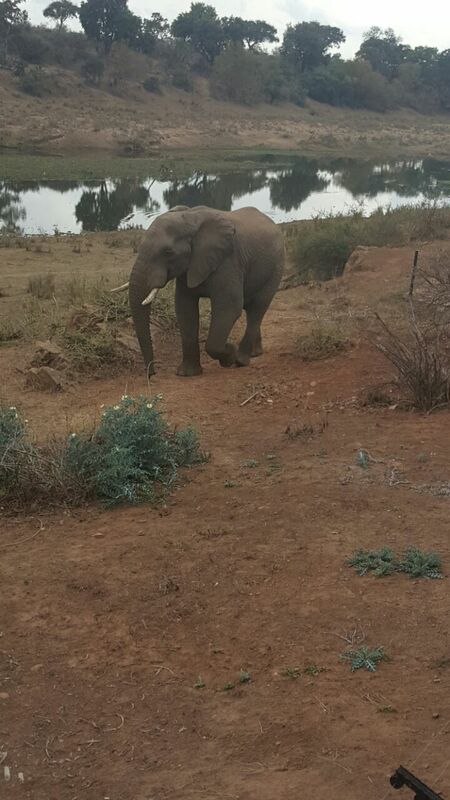 They are not shy at all and will even walk up to your camp chair if you sit very still. One even tried to take a dead butterfly out of my hand! 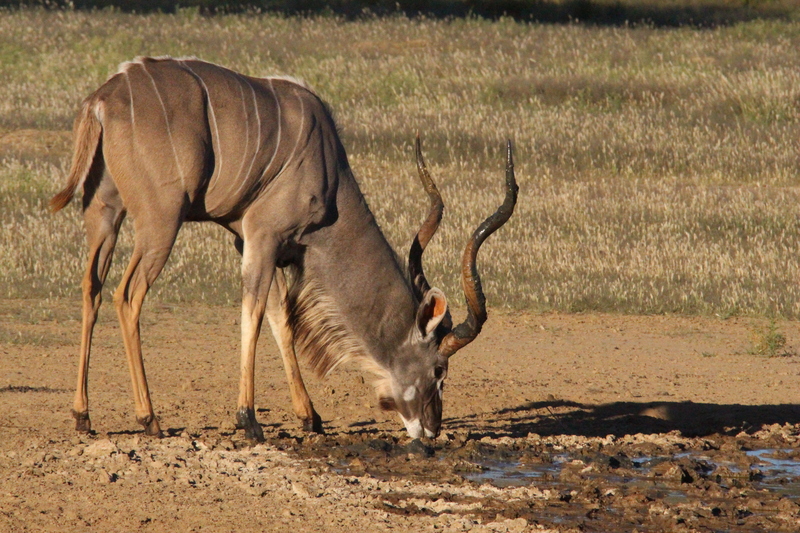 Big herds of gemsbok and springbok can be spotted throughout the park along the roads and at waterholes. Unfortunately, we didn’t see meerkat up close, but maybe next time. 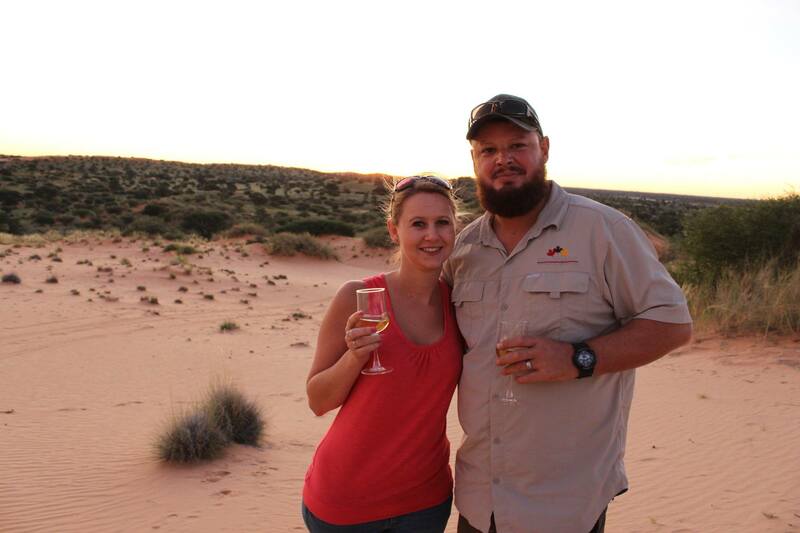 I can definitely say that this breakaway to the Kgalagadi Transfrontier Park was and will be remembered as one of our most memorable and relaxed holidays yet. We returned revitalised and the park definitely exceeded our expectations. 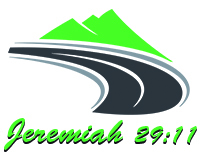 The staff is friendly, fellow campers greet you in the morning on your way to the ablutions and on the roads. People are very considerate and everyone gets a chance to view a sighting. 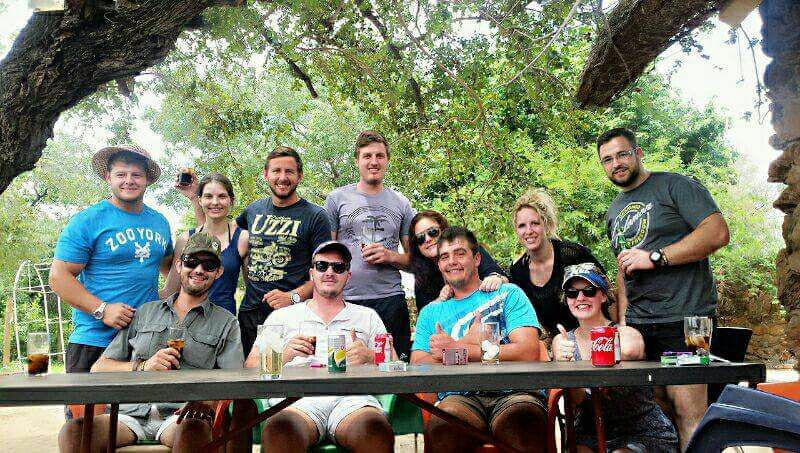 We are already planning our next trip with friends to the Botswana side of the park this year April. We cannot wait to put our feet in the sand and get that overwhelming feeling of joy that comes with it. Imagine a little piece of heaven so wild and untouched, so pure and marvellous that heavenly is the only way to describe it. 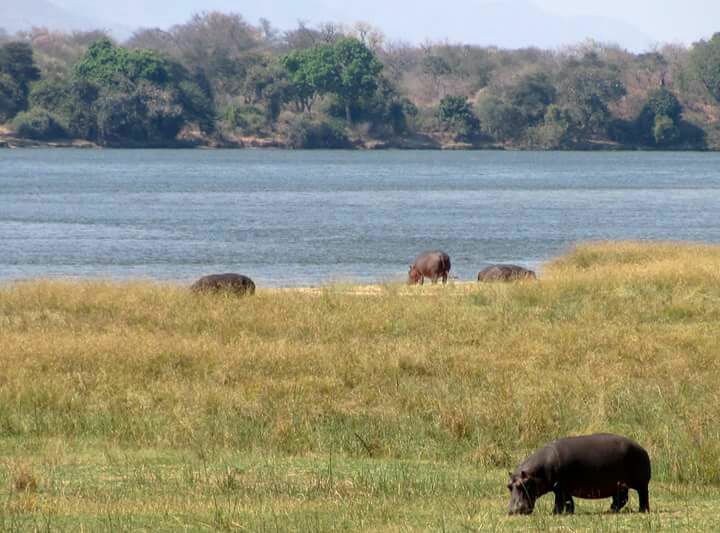 It is here where the mighty Zambezi winds its way up north and the floodplains are home to a wide variety of wildlife. 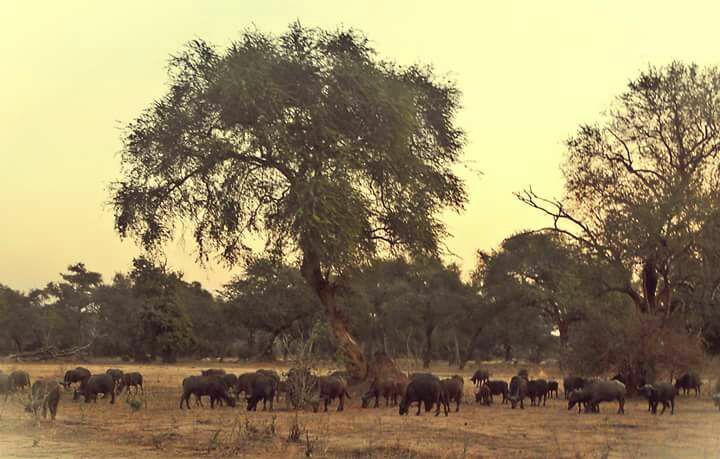 It is where the trees are lush and provide shade from the relentless African sun and the elephants balance on their hind legs to reach the highest fruit. 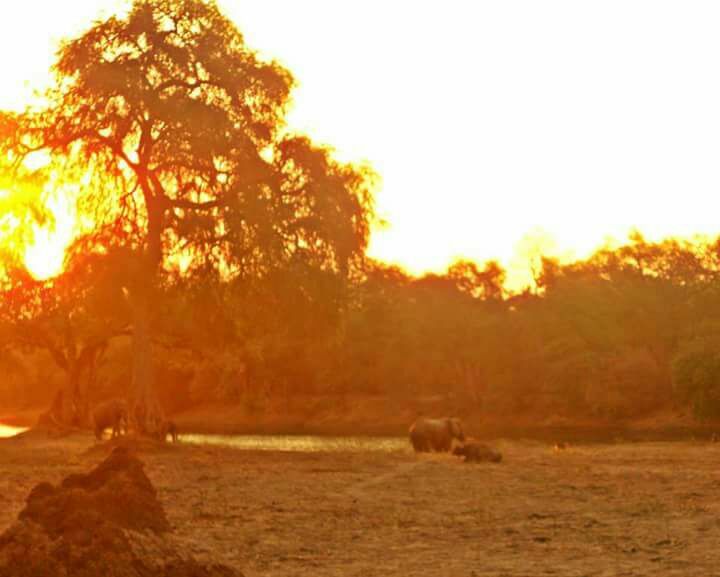 If one is looking for the ultimate “off the beaten track” experience I suggest to a trip to Zimbabwe to visit Mana Pools National Park. Here the hyenas pays your campsite a visit every night and if you are lucky – even more amazing creatures of the animal kingdom. This is the perfect destination to experience nature in all its splendor. It lacks luxury and there are no creature comforts but, in exchange, it gives you the rare opportunity to experience peace in its true essence. 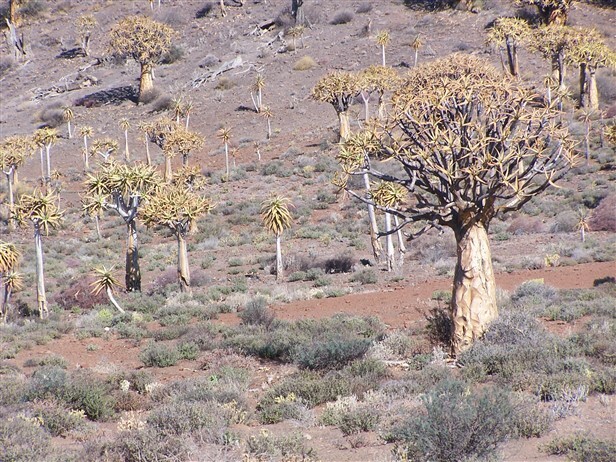 Once you have visited this African Garden of Eden you will want to return again and again. 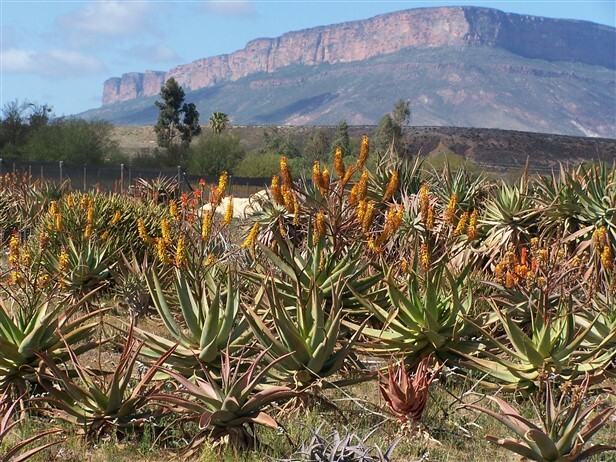 The remoteness of the park and its huge expanses and overall magnificence provide a wildlife experience far superior to that of any other national park. 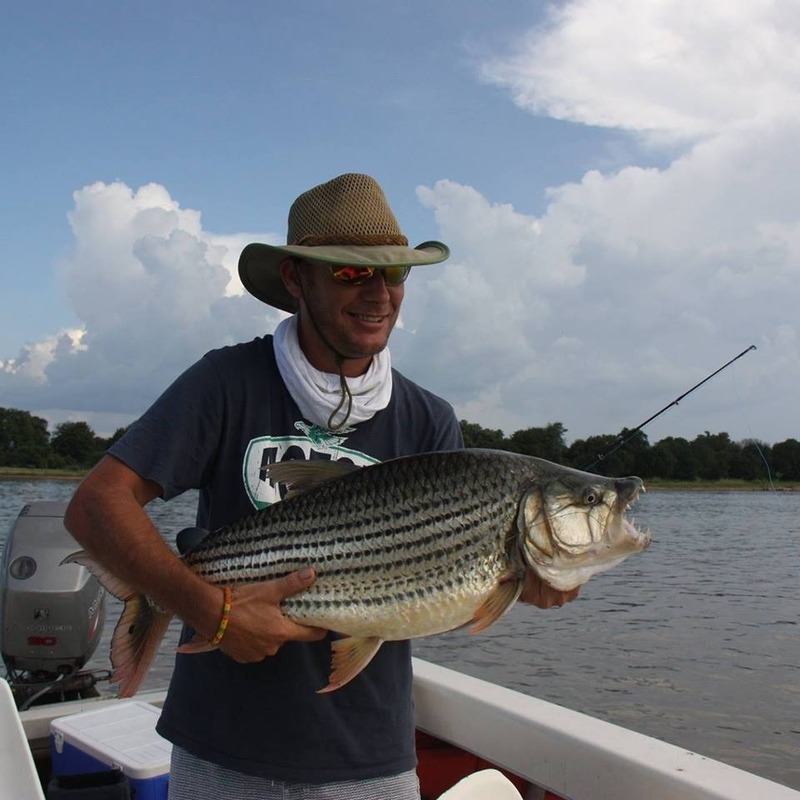 On the opposite side of the river, in Zambia, there are many luxurious upmarket lodges and five-star camps. 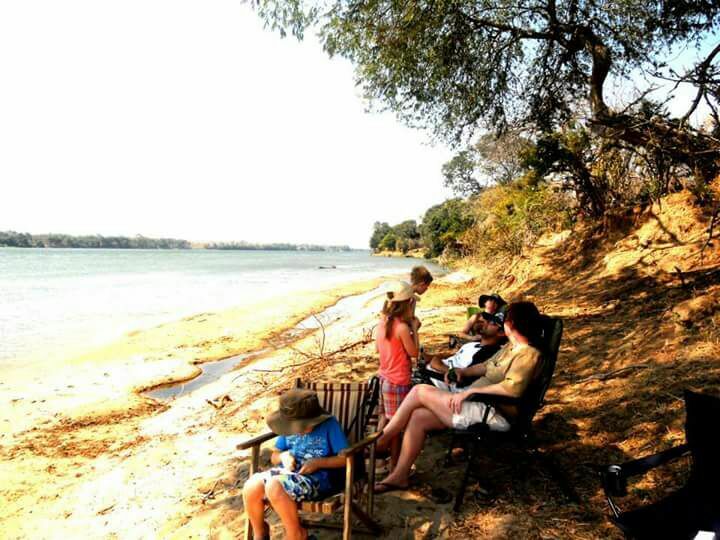 Zambia’s tourism has experienced immense growth in the past decade. The decline in Zimbabwe’s economy and the resulting political crisis certainly helped to boost tourism in Zambia. Nevertheless, the natural resources, beauty, wildness and uniqueness of Zimbabwe have remained relatively untouched. 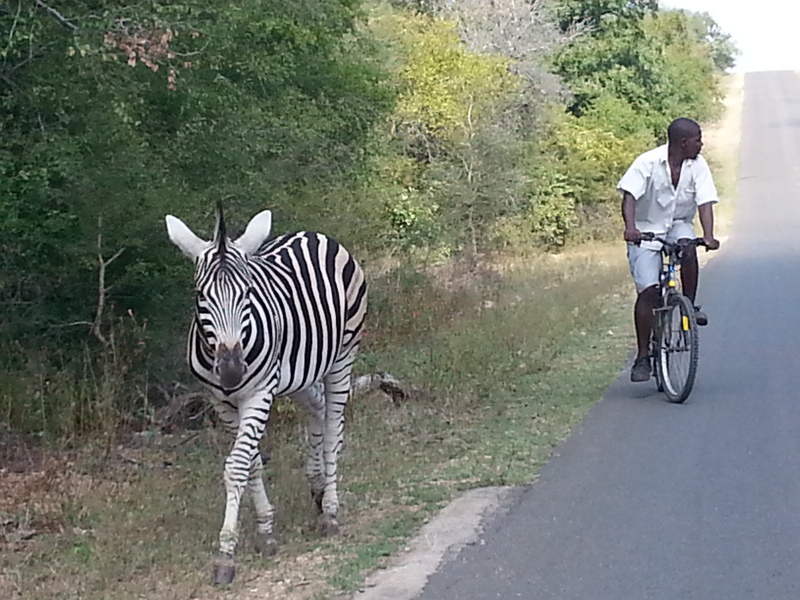 If you are feeling adventurous and want to take the road less travelled, this Zimbabwean experience is for you. 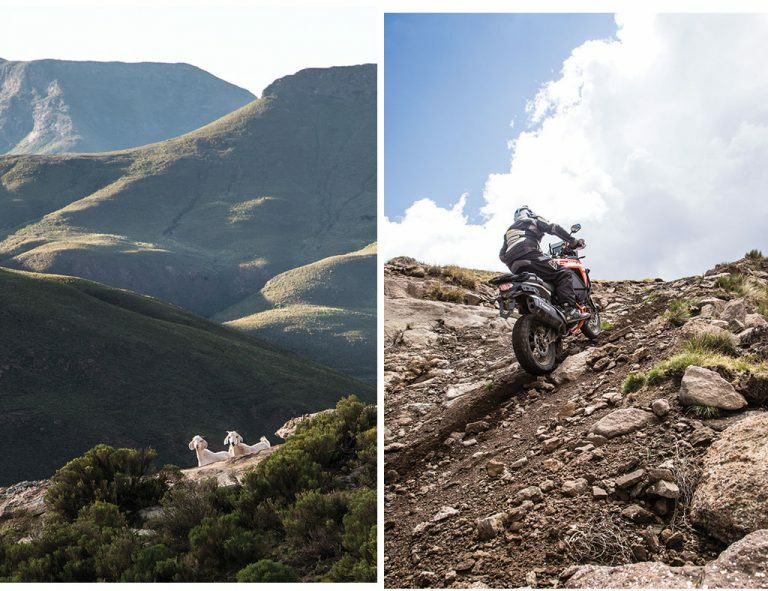 It is the perfect destination for the explorer looking for the ultimate thrill. Before the collapse of the economy due to the Land Reform Program in 2001, when Zimbabwe was still the breadbasket of Africa – it was a key tourist destination, drawing millions of tourists every year. This country had a reputation for offering the finest rates in the safari industry and boasted the most renowned and knowledgeable guides in southern Africa. This destination was one of the most popular choices on the global tourist trail – offering millions of international tourists everything – from first-class safaris to exploration and adventure holidays and luxury wildlife breaks. 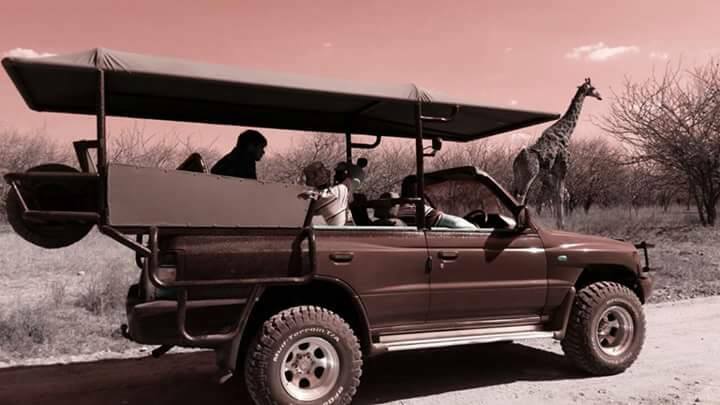 But when most privately owned game reserves were violently disowned, international tour operators started to pull out of the country due to its bad reputation and because of security concerns. 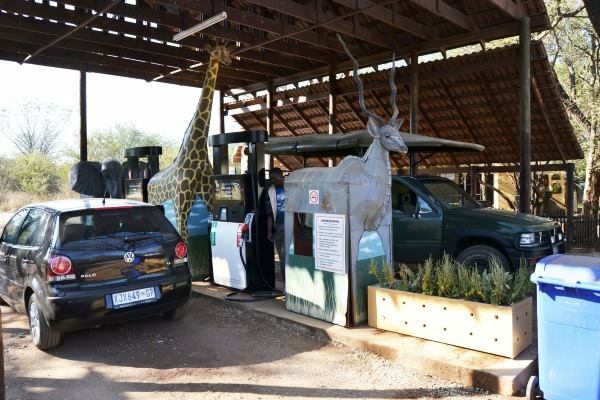 Tourist numbers dropped drastically and left the wildlife sector and conservationists in dire straits. International travellers gradually forgot about Zimbabwe and its fine natural resources, several World Heritage Sites and world wonders and focused their attention on other destinations. 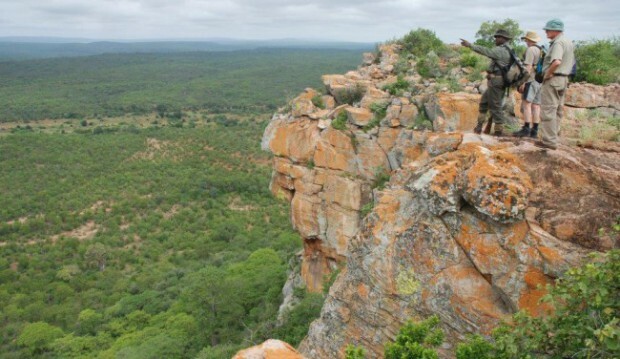 Zim became the hidden gem for the adventurous traveller- the perfect off-the-beaten-track destination. Nowadays very few South Africans and foreigners visit Mana Pools. This is Africa in its essence. The campsites are unfenced, there are no queues through which to find your way in the park. There are no restaurants and no power supply. 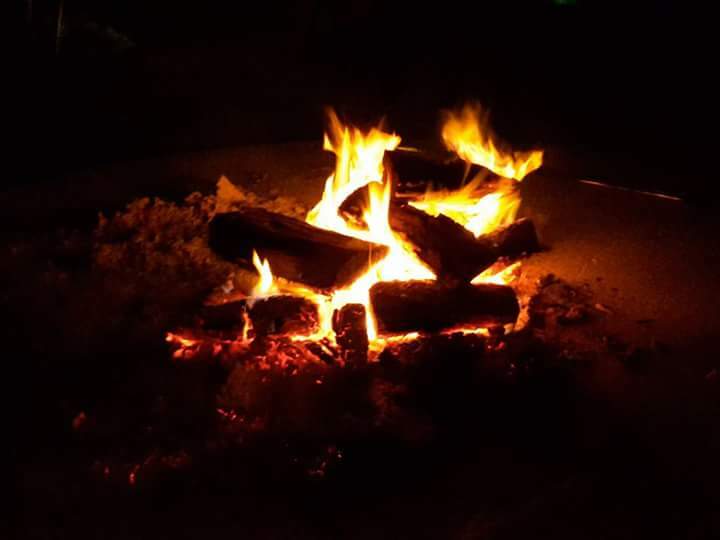 I personally recommend the Nyamepi campsite which is comparatively safe and also fairly close to the park office where one can buy firewood (and trust me – running out of firewood is no joke!). 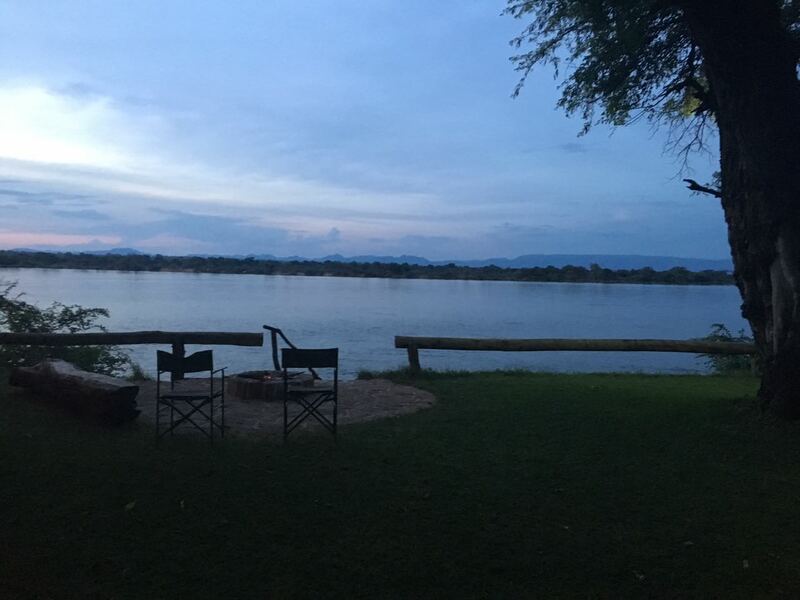 Although the more remote camps sound more enticing, you might appreciate a bit more hustle and bustle, safe in the knowledge that you are not entirely alone on a dark night when lions, hyenas, hippos and elephants roam free in the bush around you. I do, however, advise visitors not to sleep alone in a tent as it can be quite frightening at times with the hyenas sniffing around the tents all night. After all, a tent is just canvas! 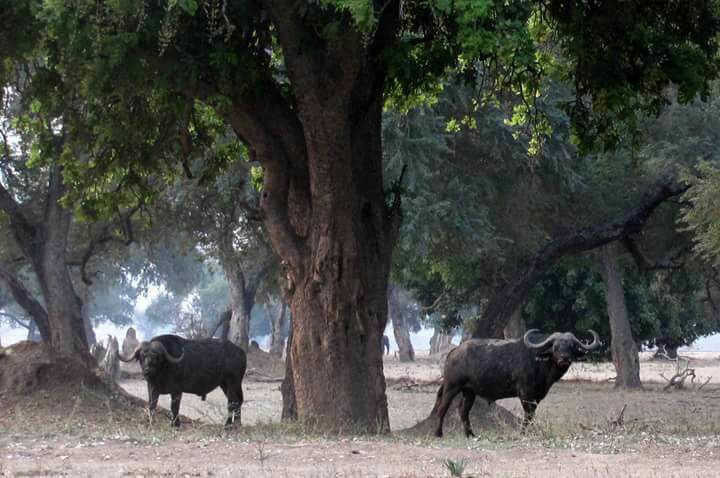 I remember one such sleepless night, too scared to get out of the tent and to make too much noise – when I realized that a much bigger animal than a hyena was sniffing around the campsite. The next day an American couple told us excitedly how lucky we were to have a leopard in our camp. 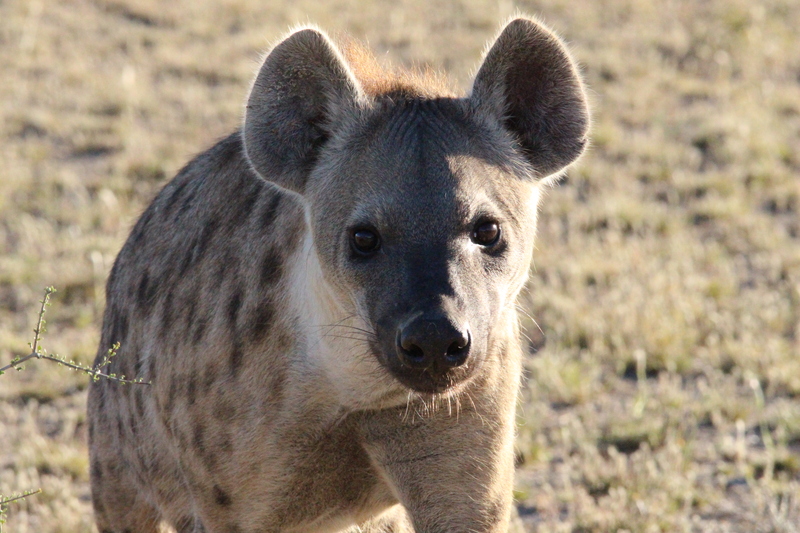 Although the hyenas at the Nyamepi campsite can be chased off easily, they are not shy at all. They love to pay an unexpected visit during braai time or when everyone is fast asleep, in search of some leftover food. Therefor – try not to act like a savage and rather discard your leftovers in the dustbins. Apart from the wildlife, the Mana pools are also remarkably beautiful as they are situated right next to the mighty Zambezi. 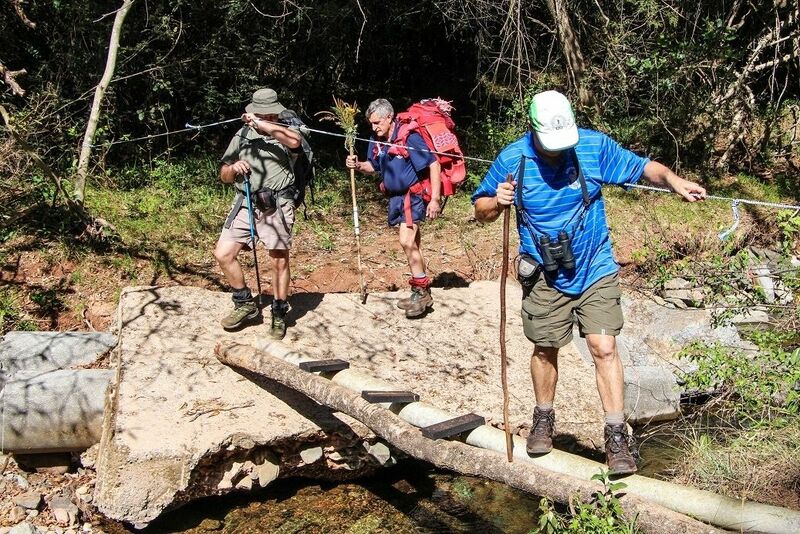 Walking safaris offer a special challenge to the very brave. 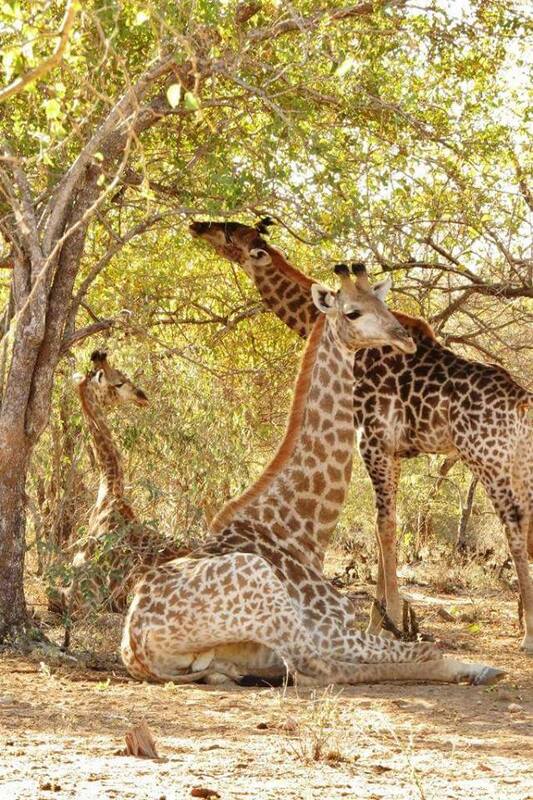 The guides are very experienced and know exactly where to go and what to do to see the biggest variety of animals. I once was lucky enough to spot a pride of lions during one such a safari. It was a thrilling experience – but also quite scary despite the guide’s reassurance that it was safe. I still froze. 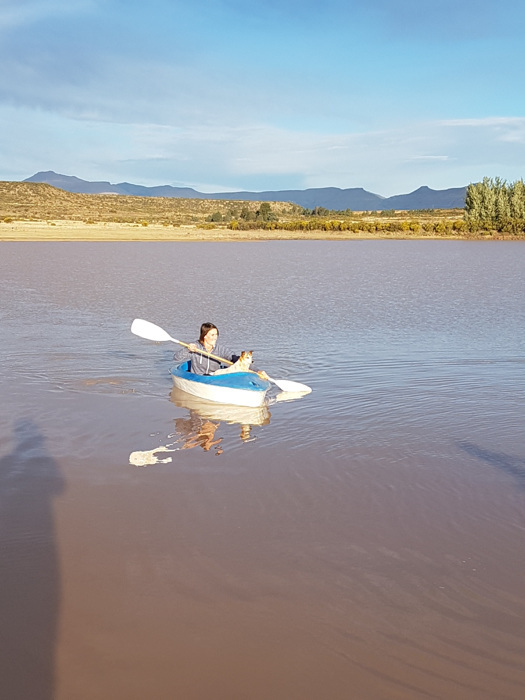 Funny enough, my only response was that I would not be able to run as I was wearing slops.The guide’s prompt reply was that the worst thing one could do was to run. So, if I could do it you can too! Years of experience make it possible for the safari guides to get surprisingly close to the animals. It is advisable to be responsible and practice caution during your stay in the park. The short walk to the ablution blocks can quickly turn into a very scary experience. Especially at night. 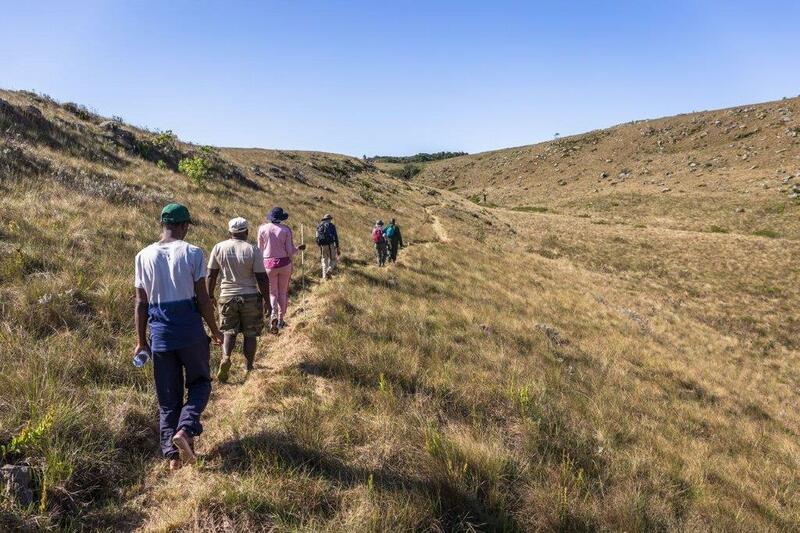 I personally recommend campers to walk to the ablution blocks in groups and not to wait until the middle of the night when the entire campsite is pitch dark. Always keep in mind that this is the wild. It is strictly forbidden to take any fruit into the park. It is also very important to properly discard of all your garbage. 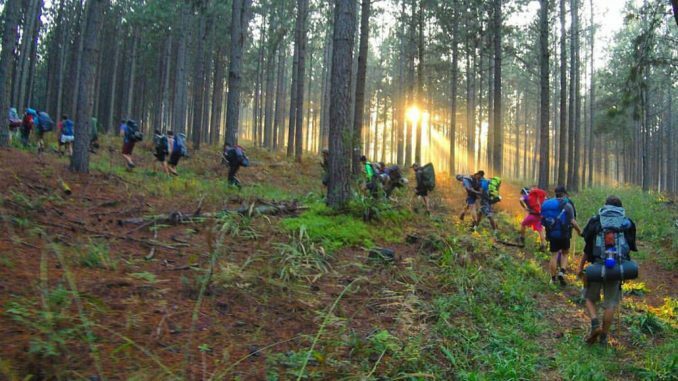 Also, ensure you are back in camp at sunset – another rule that management made for your safety. 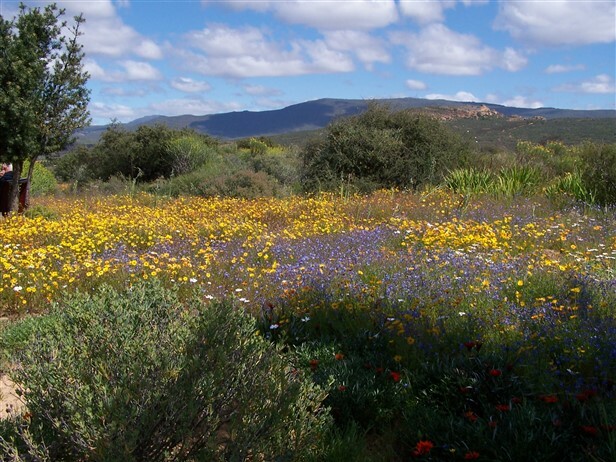 Keeping in mind that the journey is always very much part of the destination, remember to smell the flowers along the way – try to enjoy the drive through the country just as much as your stay. 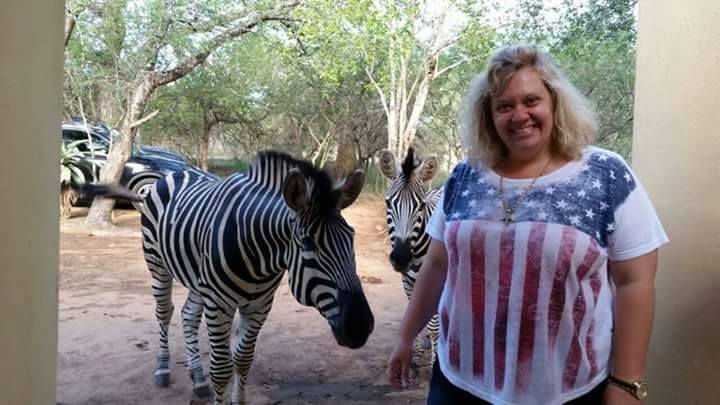 If you are heading to the park from Bulawayo, why not stop at places such as the Gweru Antelope Park, or stay over at a beautiful lodge such as Pamuzina Chengeta where you can enjoy exciting activities such as elephant rides, among others. Do not miss out on the Chinhoyi Caves on your way to Mana Pools. These caves have a very mysterious and peculiar ambience. The tranquil waters of the caves are sapphire blue. 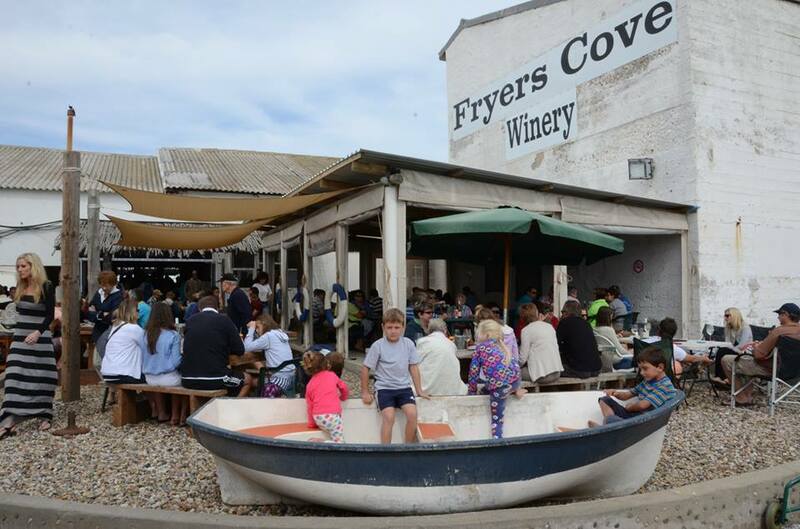 There are also various quaint shops to browse through which will quickly ease your frustration about the potholes and roadblocks on your journey. 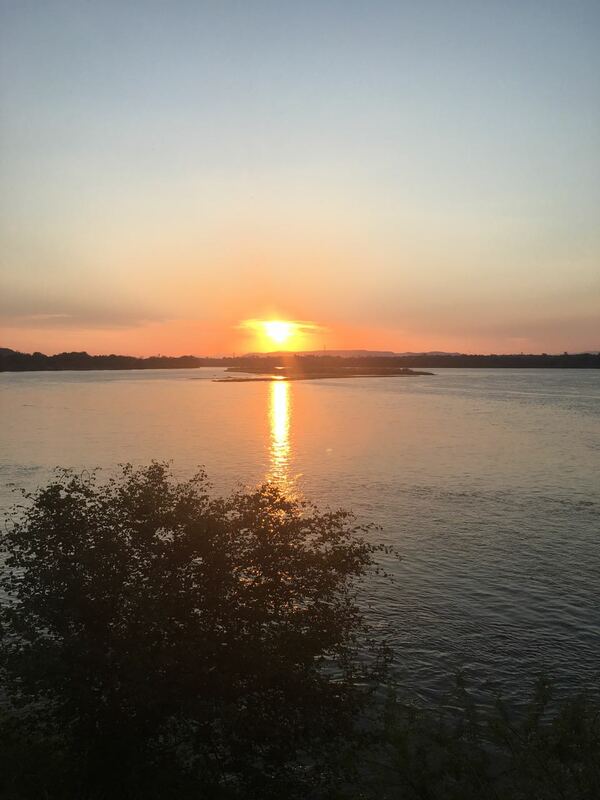 It is regrettable though most people have a bad perception of Zimbabwe as a travel destination nowadays, as its friendly people and untouched nature and wildlife have remained very much the same. But maybe it is also a good thing that a visit to the country is not everyone’s cup of tea, as this makes it a tourism destination of quality rather than quantity. Quality which offers good value for money and a one-of-a-kind experience – off the beaten track and a road less travelled. February may be famous for Valentine’s Day, but for travellers it’s also the month in which summer provides some of the most exquisite outdoors experiences. Many of these experiences may happen far off the beaten track, in new, unknown destinations. Since many of our readers are probably involved in some sort of outdoor travel or activities, we’ve compiled a list of the top apps to take with on your outdoor explorations this February. 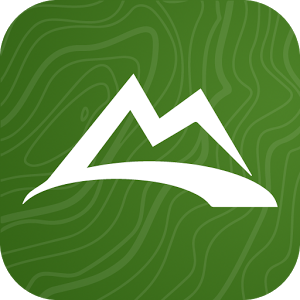 If you plan on doing any biking, hiking or other trail-related activity this month, AllTrails is definitely a must-have on your home screen. The app is feature-rich in the sense that you’re able to find nearby biking or hiking trails, have a look at others’ rating of the said trail and, in some cases, look at videos and photos of the trail. These features can be useful when you’re planning a trail run, walk or hike and you’re unfamiliar with the terrain and routes. Along with the many trails you also have the option of selecting a trail and, by using the GPS of your phone, track your progress live on the map, which eliminates the risk of getting lost. 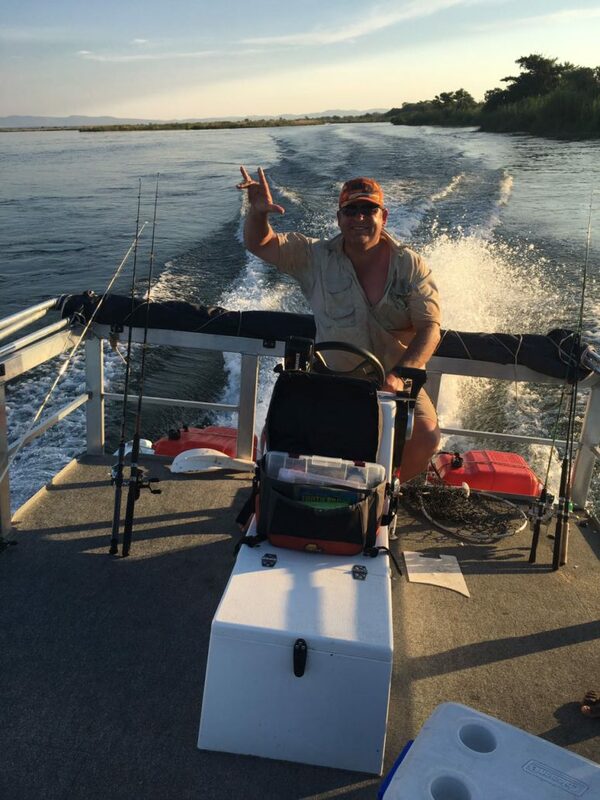 AllTrails is available on both the Google Play and stores. While adrenalin-inducing travel adventures are amazing, they do come with their own potential risks. Any number of accidents may occur on your adventure and, if the unthinkable should happen, you want to be sure to have a resource to assist you in addressing it. 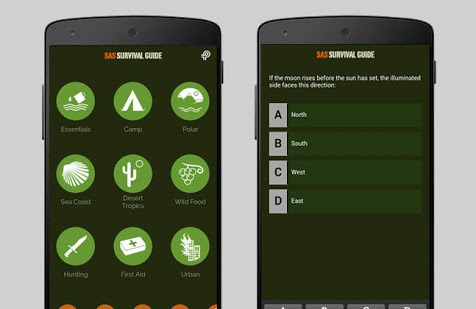 The SAS Survival Guide app does just that, with in-depth guidelines for solving almost any emergency that might occur while on an outdoor excursion. It’s an essential rather than a nice-to-have. 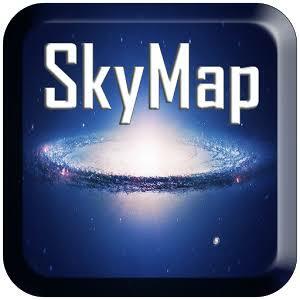 The app claims to be the definitive guide for survival in the wild, in any climate, on land and sea. It definitely delivers, with everything from tailor-made lists for specific activities to recipes for food when you have to live off the land. The SAS Survival Guide app is available in both Google Play and Apple App stores in two versions.The one is free and the other, with more extensive features, can be downloaded for R75. One of the most special things the outdoors has to offer is the huge expanse of stars in the night sky and, if you find yourself far away from the city light, watching the stars can be a magical experience. The only problem is that you may not know where to find the constellations which can make stargazing a bore.That’s where Skymap comes in – it’s an app that refers to itself as a handheld planetarium which empowers the user to identify stars, planets, nebulae and any other interesting astrological occurrences. The simplicity of the app is part of its appeal.You simply open the app, calibrate the gyroscope (this is very easy, it just sounds complicated) and point your phone to the sky to see where the constellations are. 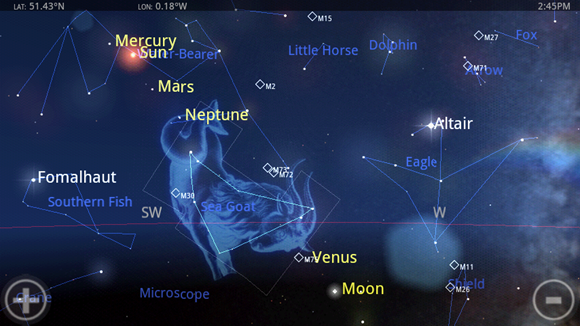 Skymap is available on both the Google play and Apple App stores for free. Imagine you’ve travelled to another country where its native tongue is totally unfamiliar to you? 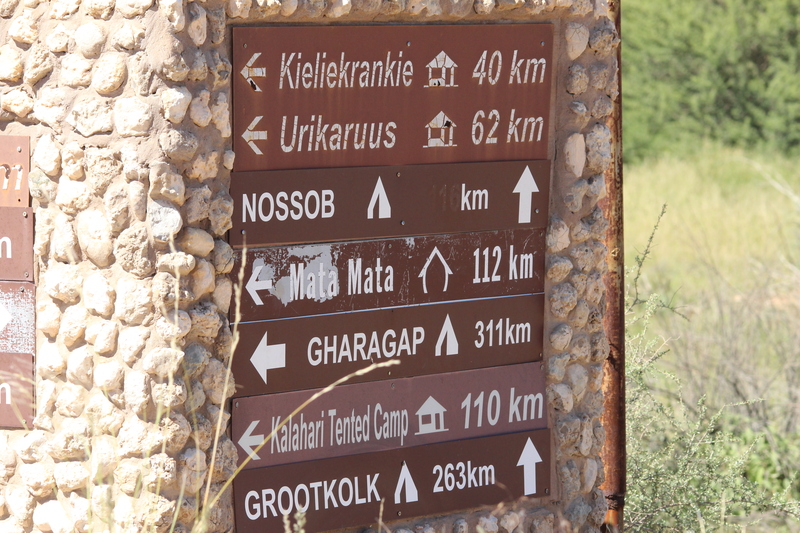 Although you might not find yourself on a trail in the bush, not being able to read signs can make you feel lost very quickly. If you hate getting lost in unfamiliar surroundings, Google Translate is a lifesaver. 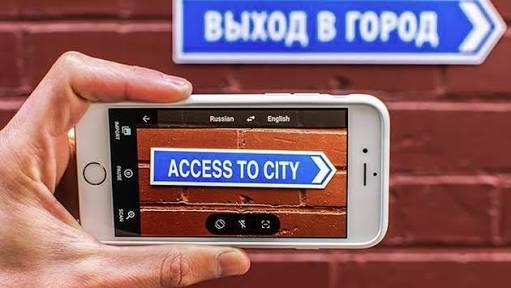 The idea behind the app is simple – when you come across as sign that is written in a language you don’t understand you simply whisk out your phone, open the app and point the camera at the sign, wait a moment and, voila!, the app will translate up to 37 languages into English. Even though this is magical already, the app goes even further by also giving you the option of translating in real time if you have to ask a local a question. Just open the app, set the mode to conversation, set the input and output language, and merrily ask away – the app will translate whatever is being said into the local tongue and translate the local mother tongue into English! Google Translate is a fee app available in both Google’s Play store and Apples App store.